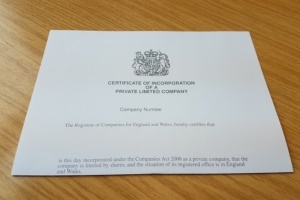 Company Formation - Cheshire Taxation Ltd.
Use me for your Company formation and I will not only form your Company but also register you for any taxes you need (Corporation Tax, VAT and PAYE) all for £60 (£50 + VAT). This fee includes the £12 Companies House fee and if you go on to use my accountancy services then you will get a credit note for £60 (£50 + VAT) against your first accounts invoice. Number of shares issued to that shareholder. Simply drop me an email with the above details; I will then forward the bank details to you for payment and when payment is received I will form the Company for you.